Federal Pell Grants help thousands of students in the U.S. pay for their college education every year. Just like scholarships, these grants do not have to be repaid after a student graduates. Applying for a Pell Grant is completely free, and doing so could ease your worries when it comes to next year’s tuition. Here is the ultimate guide to Pell Grants, courtesy of Scholarship Owl. A Pell Grant is a need-based source of financial aid for undergraduate students. 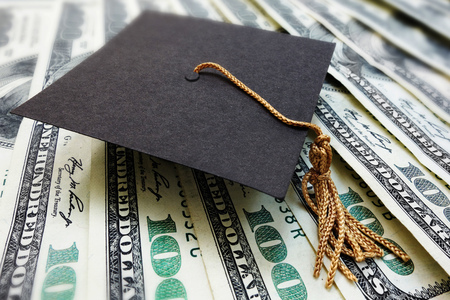 There are some opportunities for Pell Grants at the post baccalaureate level, but most grants are awarded to students in an associate’s or bachelor’s degree program. The grant money is given to the school each semester, and it can be used to pay for tuition, fees, books, and other eligible expenses. Is a Pell Grant a Loan? No, a Pell Grant is not a loan. It does not have to be paid back after a student completes school. It can be combined with other scholarships and grants, or it can be used in conjunction with student loans. The grant itself is not a loan though. How Much Are Pell Grants Worth? The value of a Pell Grant varies based on a student’s household income, cost of attendance, full-time or part-time attendance status, and more. At this time, the maximum Pell Grant award is $5,920*, split over the course of two semesters. A student with only one semester left of school would receive half that amount if he or she met maximum eligibility requirements. If you want to find out how much your award might be worth, you can use this Pell Grant calculator from the U.S. Department of Education. The program will ask some brief information about your household and your college plans, and it will provide an estimate based on your answers. The figure is not guaranteed or exact, but it gives you an idea before you complete an application. If you are attending college part time, you can still qualify for a Pell Grant. However, your Pell Grant limit will be less than someone with full-time enrollment. The value of the grant will be based on the number of hours you are attending each semester, as well as your financial need and other factors. The max Pell Grant for part-time enrollment is proportional to the number of credit hours you are enrolled in. A “full time” student is typically someone who takes at least 12 credit hours per semester, though some schools have independent definitions. If you are enrolled in 6 credit hours, you could receive up to 50% of the maximum Pell Grant ($2,960). If you are enrolled in 9 credit hours, you could receive 75% ($4,400). You must be accepted or enrolled in an undergraduate program at an accredited college, university or junior college. This includes certificate programs, associate’s degrees and bachelor’s degrees. If you are a male between 18 and 25, you must be registered with the Selective Service. You must not be in default on a federal student loan, nor owe refund money on a federal student loan. This means that you can apply for a Pell Grant regardless of your income, but most recipients come from families with household incomes of $30,000 or less annually. We will explain that in more detail later on. You cannot apply for a Pell Grant if you are incarcerated in a state or federal penal institution. To apply for a Pell Grant, you need to complete the Free Application for Federal Student Aid (FAFSA). You will have to complete this every year to reapply and continue receiving your grant. Many scholarships and grants require the results of your FAFSA as part of the application, so it’s a good idea to fill this out regardless of the type of financial aid you want to receive. If you need any student loans, you will need to have a FAFSA on file. You do not have to write an application essay or do anything extra to complete your FAFSA. The questions are straightforward, and they are all related to your education or household income. If you have not completed your taxes before filling out an application, you can enter estimated amounts and amend your application later. Since federal Pell Grants are need-based, they are mostly given to people from low-income households. There are no specific Pell Grant income limits, but maximum awards are usually given to students whose families earn less than $25,000 per year (see EFC section below). Some Pell Grants are awarded to students with household incomes of $25,000 to $50,000, but they are rarely given out for household incomes above that. One of the biggest influencers for your Pell Grant amount is your Expected Family Contribution (EFC). This is a special formula that determines how much your family is expected to contribute to the cost of your education. In other words, this is a way for the government to quantify your financial need to determine your Pell Grant award amount. The first step in EFC calculation is determining if you are dependent or independent. If you are dependent, you will have to include your parents’ income information on your FAFSA. If you are independent, only your income will be evaluated. Moreover, if you are independent but married, your spouse’s income will be considered part of your household income. You may be considered independent if you are married, over the age of 23, an active duty member of the armed forces, a veteran of the armed forces, enrolled in a graduate degree program, and more. After determining your dependency status, the EFC formula assesses your taxable income and/or the taxable income of your parents or spouse. If the household income is less than $25,000, you will automatically qualify for a 0 EFC. That means that the Department of Education does not expect any financial contribution from your family and you will automatically be eligible for a full Pell Grant (based on your enrollment status). This means that if you do not receive a 0 EFC rating, you will receive another value that determines what portion of the max Pell Grant amount you qualify for. If your EFC is 5000, that means your family is expected to contribute $5,000 toward your education expenses. If your EFC is 12000, the expected contribution would be $12,000. This ties into the cost of attendance calculation we will go over in the next section. Do You Have to Get a 0 EFC to Get a Full Pell Grant? No. You can still get a max Pell Grant even if you have an EFC higher than 0. It all comes down to your cost of attendance and overall financial need. The cost of attendance for your school contributes to your max Pell Grant. This is the total cost of your education for the semester or year based on your tuition, fees, estimated room and board, and other projected costs. The cost of attendance (COA) combined with your EFC determines your financial need. If you have a cost of attendance of $18,000 and an EFC score of 14000, you would have a financial need of $4,000. The maximum amount of need-based financial aid you could receive is $4,000. Note that if you had a COA of $18,000 and an EFC of 12000, your financial need would be $6,000. That is above the Pell Grant limit of $5,920, so you could still qualify for the maximum Pell Grant. You can receive a Pell Grant for up to 12 semesters. You will not be eligible for a Pell Grant once you have earned your first professional degree, unless you enroll in an eligible graduate-level teaching certificate program. Furthermore, you must complete a new FAFSA every year to continue receiving your Pell Grant funds. If you take a break from school, you will not be eligible for award money until you re-enroll. To maintain your Pell Grant qualifications, you need to “make satisfactory academic process.” That means that your grades and academic participation must be sufficient enough to keep you progressing toward your degree. Each school is able to set its own stipulations for satisfactory academic progress. This includes the GPA you must maintain, the number of classes you take per semester, how you are required to handle a failing grade, how you withdraw from classes, etc. Some schools evaluate their students once a year, while others do so once a semester. You may talk to your school’s financial aid department to learn what you have to do to keep your Pell Grant. When Is the Pell Grant Deadline? The best rule of thumb is to fill out your FAFSA as soon as you know you need financial aid. The federal student aid deadlines for the 2017-2018 academic year are June 30, 2018. However, those are not the only deadlines you have to consider. Each school and each state have their own deadlines that may influence your Pell Grant eligibility. You can use the student aid deadline calculator to find out when the cutoff dates are for your area. Do I have to pay Pell Grant taxes? Are Pell Grants considered taxable income? For the most part, you should not have to pay taxes on your Pell Grant, and you will not have to claim this as income on your tax return. The main exception to that rule is if you use Pell Grant money for “nonqualified expenses”. Qualified expenses include tuition, fees, books and school supplies. It does not include room and board. Thus if you use your Pell Grant to pay for housing, you will have to record some or all of it as taxable income. What If I Don’t Qualify for a Pell Grant? If you don’t qualify for a Pell Grant your first year, you may apply again the following semester. The cost of attendance may change for your degree, or your household income may change. In the meantime, you can apply for scholarships and other grant opportunities to help pay for your college education. Scholarship Owl makes it easy to apply for scholarships online and get matched with the best awards for your situation. Sign up today for a free account, and we will help you get money to cover your costs. You can continue applying for Pell Grants in the future, or you may receive enough money elsewhere to not need a Pell Grant. Next story Student Scores $1,000 Bonus Scholarship Just for Winning an Even Bigger Scholarship!